It’s an incredibly exciting time to be a GIS user. People around the world are applying GIS as a framework to gain real insight, drive innovative solutions to complex problems, work more efficiently, make better decisions, collaborate and communicate more effectively, and make a real difference—intelligently effecting meaningful change. Spatial analysis is at the very heart of GIS technology. It enables us to better understand our place in the world, and the impact we can make — mapping where things are, how they relate, what it all means, and what actions to take, for the best results. Analysis of geographic patterns and relationships uncover new insights — for actionable intelligence, such as optimum routes, site selection, asset location, supply chain and advanced predictive modeling. 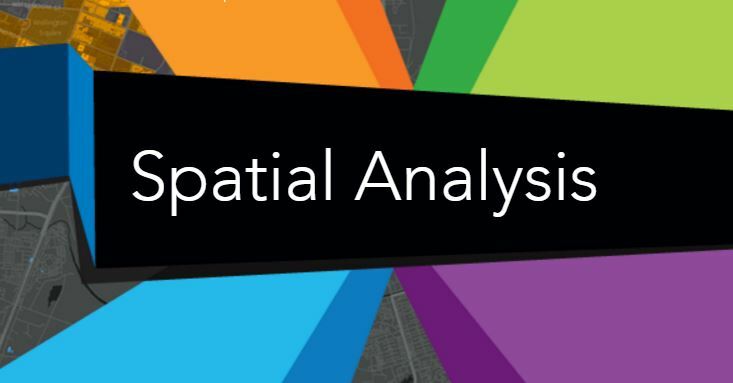 Join Clint Brown, Esri’s director of Software Products, together with members of the Analysis and Geoprocessing thought leadership team, including Linda Beale, Mark Harrower and Flora Vale – as they discuss the essential steps to performing spatial analysis that yields stronger insights from your data. Our panel of GIS experts will provide real world best practices, workflows, and shortcuts that have worked for them over decades of career experience using GIS as a powerful analytic tool. No matter your mission, or your market, join your colleagues at 8:30 a.m. on Wednesday in Ballroom 06 D, for proven insight and guidance for spatial analysis techniques that can drive GIS strategy and business outcomes for your organization. Organizations around the world are doing some pretty amazing things with GIS. Whether they do it themselves, work with an Esri partner, or engage with Esri directly, their success stories have common themes. They point to a path of implementing the ArcGIS platform. Starting with a vision, that path guides strategy, from planning and assessment through operations. Along the way, users following the path hit key milestones, produce tangible benefits and loop back as necessary to measure progress and update their strategy. Evidence of that pattern emerges from the thousands of customer success stories and engagements with Esri and Esri Partners. Brian Cross, Esri’s director of Professional Services will dive into the essential steps to modernize how your organization uses GIS. Brian will use Esri engagements with the City of Los Angeles and Guy Carpenter Inc. – which shared the plenary stage on Monday – to explain how each step along the path is important and contributes to a successful GIS. No matter your mission, or your market, join your colleagues from around the world at 1:30 p.m. Wednesday, in Room 02 for proven guidance that can drive your GIS strategy, and your organization, forward.